The Beach House is unique and incomparable to other St Thomas villa rentals because of one major amenity — your very own private beach just a walk down the steps. Your very private villa and a one-of-a-kind secluded location. There are very few homes in all of the Virgins that can make the claim of privacy and seclusion with its own beach. 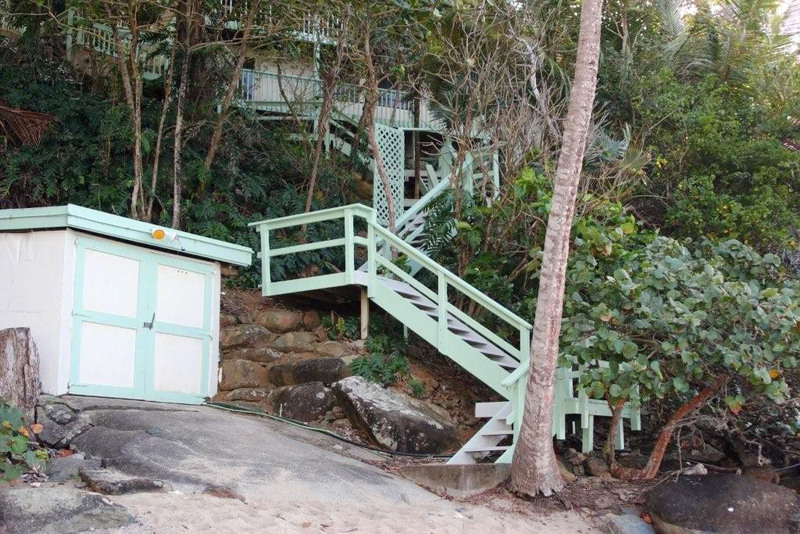 The Beach House is truly a secluded gem in paradise. Our serene location offers an exceptional Caribbean experience, with only the sound of your “ahhhhhhhhs” between the villa and a beautiful sunset. 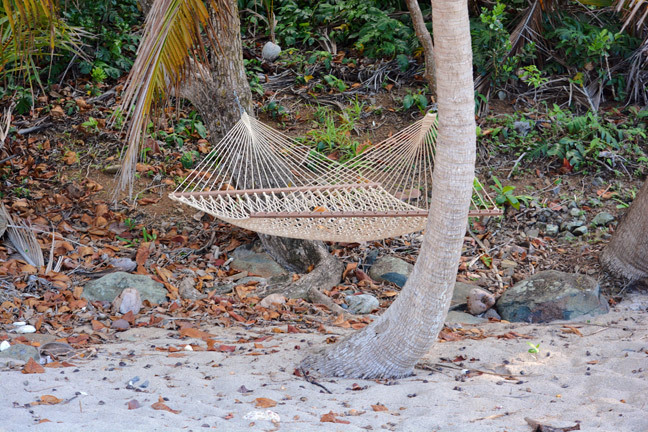 Located on tiny Mail Bay (rarely identified on maps of St. Thomas) on St. Thomas’ exclusive North Shore on three acres of land, our private beach is only accessible by land from our property, so our guests, whether honeymooners or families, are content on our exclusive sandy haven. 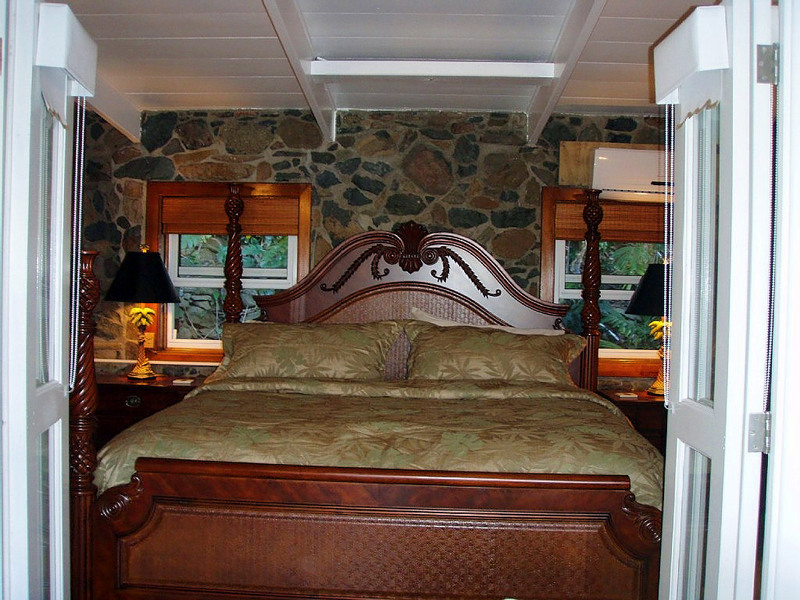 The Beach House’s five bedrooms accommodate up to ten people, and its charming, upscale island style design, stone walls, fashionable furnishings and other vacation amenities enhance your vacation experience. Plus, the serenity and privacy is unmatched on St. Thomas or elsewhere. 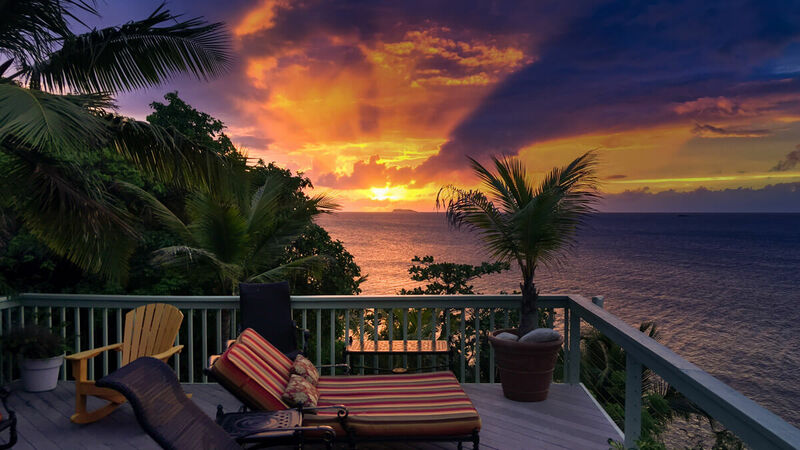 For those who wish a get away from the rest of the world yet have all island places of interest just moments away, discover The Beach House on St. Thomas. 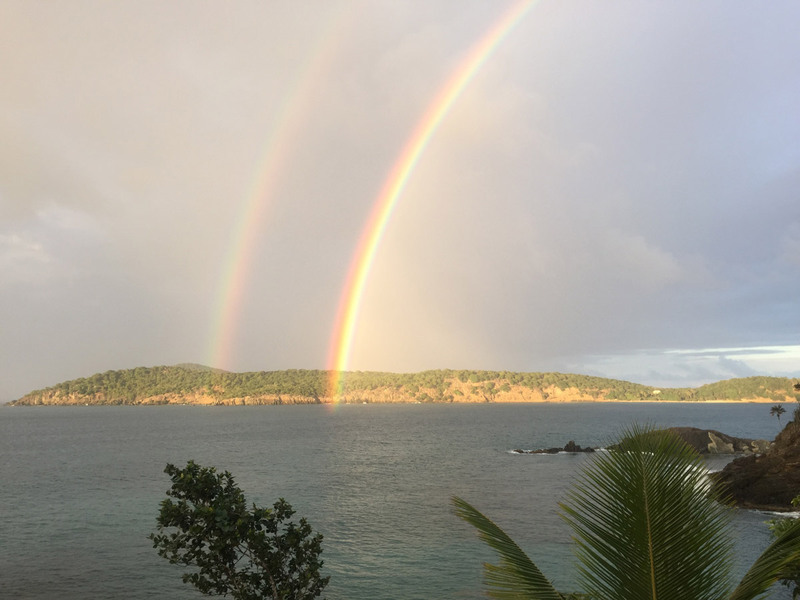 The Beach House villa’s location offers access from your front yard to our private beach and one of the most beautiful St Thomas snorkeling reefs. 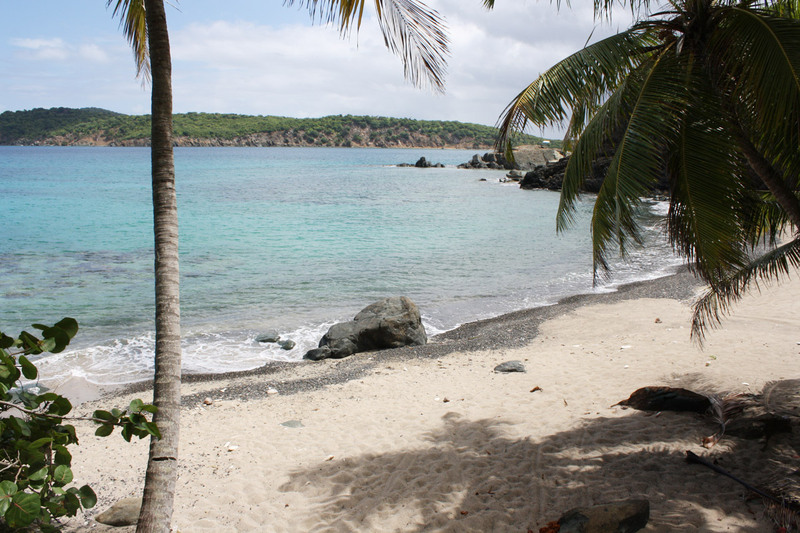 Rocks and reef surround each side of the beach ensuring your privacy, while also presenting a great “rock scramble” hike if you enjoy adventurous exercise. 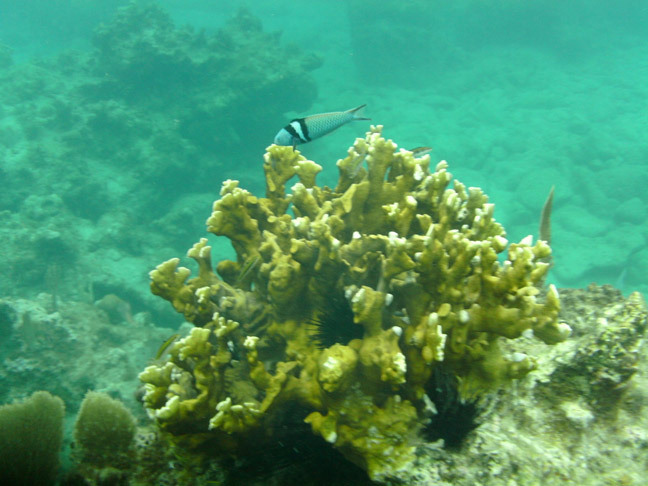 You will find beautiful healthy coral and a large varied fish and crustacean population. Enjoy the incredible snorkeling and diving, especially in the summer months. The 30 – 40’ deep reef is a nice little shore dive and the sandy entrance allows you ease of access to put on your fins or your tanks and just walk right in. The underwater photographs on our webpage were recently taken by one of our very happy guests. 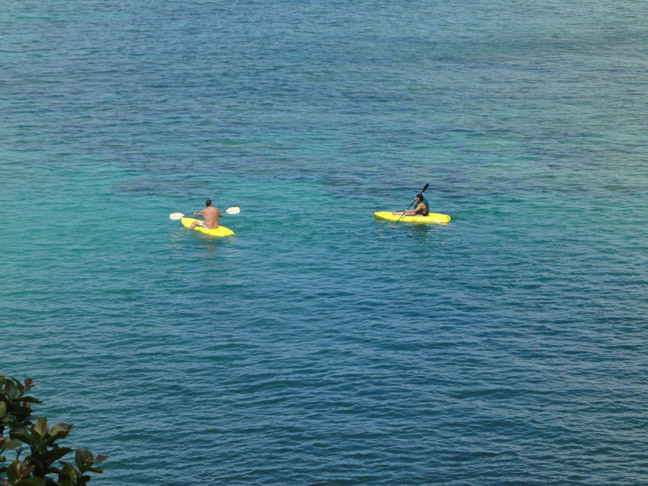 Moreover, above the water, the summer seas are perfect for kayaking (there are two in the Boat House) and other water activities. The winter months offer more of Mother Nature’s wonders. The large rolling seas are spectacular to watch and the sound will lull you to sleep. If the seas are larger than you would like to play in on any given day, relax and read on the beach, take a dip in the hot tub or bask in the sun’s warm rays from the deck. However, given the capricious nature of our mother ocean, it can be waves one day and flat calm and clear the next.